Norway’s state budget crisis deepened Tuesday afternoon, when one of the minority government’s two support parties broke off any further budget negotiations. The Liberals won’t support the budget as it now stands, blaming the government’s ultimatum against raising fuel taxes. 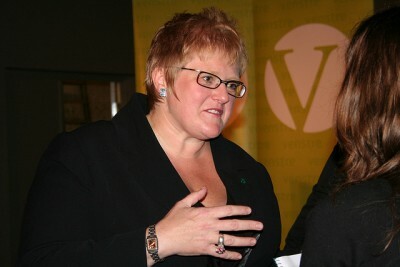 The Liberals’ leader, Trine Skei Grande, had been complaining for months that the government’s state budget proposal wasn’t likely to be “green enough.” When Finance Minister Siv Jensen of the conservative Progress Party presented the budget in early October, Grande’s complaints got louder. Grande was especially keen to raise taxes that she claimed would discourage driving and therefore help cut carbon emissions. She wanted to raise fuel taxes more than the 15 øre (around two US cents) per liter of unleaded gasoline and 35 øre per liter of diesel that is as far as Jensen’s party will go. Grande wanted to raise the gasoline tax by 50 øre and diesel by 65 øre. It all led to the government parties arguing literally over the equivalent of pennies, while avoiding far more serious measures to cut emissions, like halting more oil exploration or cutting Norway’s oil and gas production. Several opposition parties claimed it amounted to theatrics, with Grande keen on boosting a climate-friendly image for her party while Jensen was just as keen to be tough on taxes. Her party has long wanted to cut taxes in Norway, not raise them. Jensen stressed that she still believes there’s a “real willingness” to find a solution for next year’s budget, which must have support by Monday, when it’s up for debate in Parliament. If Jensen and Prime Minister Erna Solberg haven’t won support for their budget, Solberg will likely need to request a vote of confidence and their government may collapse. Now the budget may hinge on whether the Christian Democrats are willing to support it without the Liberals. That would still give the Progress Party and Solberg’s Conservatives just enough of a slim majority to get it through Parliament. Christian Democrats leader Knut Arild Hareide was, however, heading off to fetch his children at a day care center and had little time to comment: “We will take a position on the way further based on the last two days of new proposals from the government.” Hareide has called in an extraordinary meeting of his party’s Members of Parliament tomorrow. If he doesn’t rescue the conservative government out of the budget turbulence, both he and Grande may be accused of ushering in a left-center government, likely to be formed by Labour and the Center Party with support parties of their own if Solberg steps down.